It was forty years ago! It was forty years ago, on 16 July 1977 at the British Formula One Grand Prix in Silverstone, that the 1.5 L V6 turbo engine Renault RS 01 made its first official appearance, driven by Jean-Pierre Jabouille. This was a first for Formula One – at the time, car manufacturers used 3 L atmospheric V8 and V12 engines. To begin with, the car was chronically unreliable, earning it the nickname "the yellow teapot" – a reference to its colour and the numerous mechanical problems which would often result in it blowing up in a cloud of white smoke. Yet Renault believed in it and two years later it won its first Grand Prix in France! In the wake of this win, turbocompressors were incorporated into its current line. 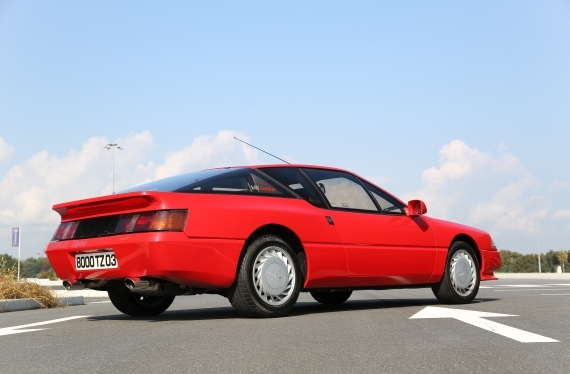 At the 1978 Paris Motor Show, for example, a prototype of the R8820 type was unveiled to the public. Although it did not yet have an engine, the car's design had practically been finalised. 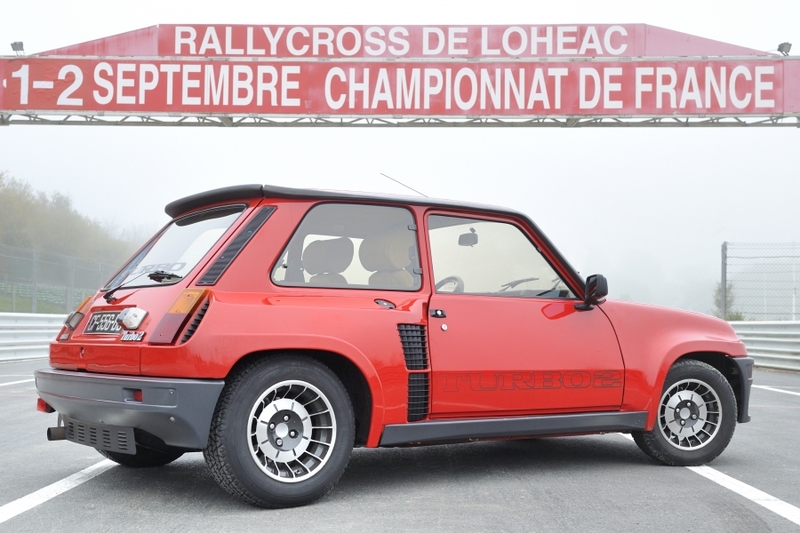 This sports car – featuring a mid-mounted rear engine and made to comply with the Group 4 racing class for world championship rally driving – was to give birth to the famous Renault 5 Turbo, launched at the Brussels Motor Show in January 1980. Production commenced on 20 May, with the first cars going on sale on 20 July. 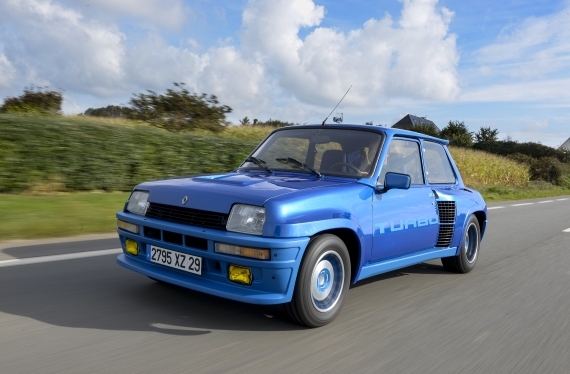 Shortly afterwards, all of Renault's lines started to include Turbo versions: R5 Alpine Turbo, R5 GT Turbo, R9 and R11 Turbo, R18 Turbo, R21 2 L. Turbo, R25 V6 Turbo, Alpine V6 Turbo, etc. These cars left their mark on a whole generation of drivers. And today, they are a source of joy for many an enthusiast. Youngtimers wanted to pay tribute to them by bringing them together on a special podium. The generous forms of this R5 usually have quite an effect on the male libido! Even if the Spiderman-type disguise and the hole-effect dashboard of the first Turbo might cause a few smiles. But then the raucous voice, the thrust of the Garrett T3 turbocharger and the sporty driving experience delivered by this mid-mounted 160 hp engine prove that it's not just there to entertain. The Turbo 2 is barely more tame – it just has an R5 Alpine interior, a roof and sheet steel doors (they used to be made of aluminium). The bar is forever being raised when it comes to family sports cars. 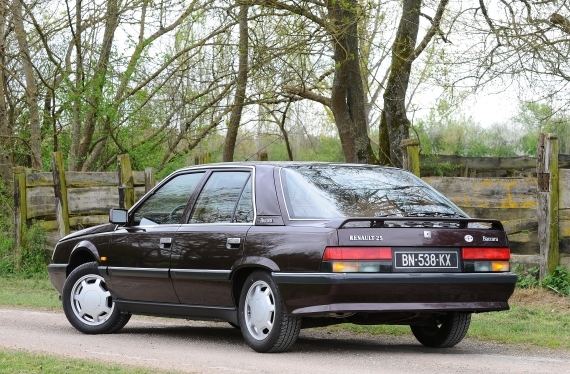 In 1980, 110 hp was enough for the Renault 18 Turbo – the first French car of its type – to be in this very select club. Later on, it gained an additional 15 hp, rear disc brakes and a plethora of other improvements (1984). Nowadays, the "18" is considered a good road car: it’s comfortable, well-equipped (power steering, electric windows, etc.) and is relatively fast. But forget about it as a sports car: it understeers and rolls too much. 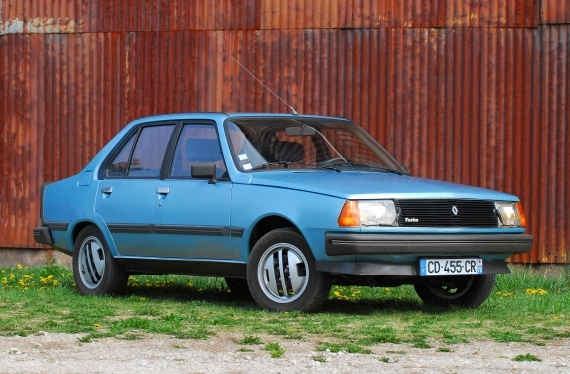 The turbo version of the three-door R11 was the scoop in March 1984 (a five-door version was unveiled in March 1985), while the R9 made its appearance in June 1985, featuring the Supercinq GT turbo’s four-bar rear suspension system which until now had only been used on the R11 Zender (a limited series launched in May 1985). In October 1986, it was restyled and the power increased to 115 hp. It was then that the R11 got its famous rear suspension system. Two extremely appealing sports cars that can be used as family vehicles. To rediscover and preserve. After the cinq, make way for the Supercinq! In March 1985, the GT turbo was released, armed with a C1J-C782 Cléon-built 1.397 cc carburettor engine. Boosted by a Garrett T2 turbo compressor, it delivered 115 hp and let the world know it with its flashy appearance. 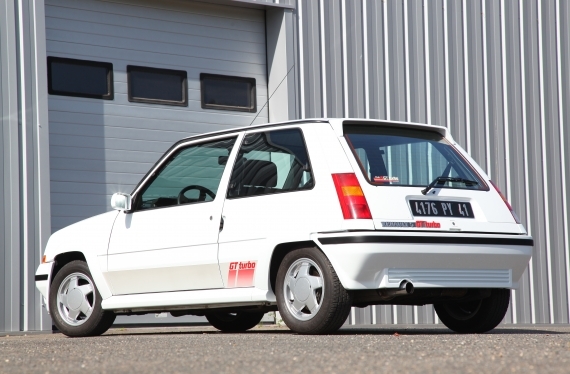 In July 1987, in a bid to head off the Peugeot 205 GTI 1.9, the phase II version of the GT Turbo delivered an increased 120 hp and featured some adjustments to the axles. Limited Alain Oreille series in December 1989 (2000 units), relatively prized. In January 1991, it was replaced by the Clio 16S. “Le fabuleux vaisseau”, or "the fabulous vessel" is how Renault marketed it in television adverts in June 1985. 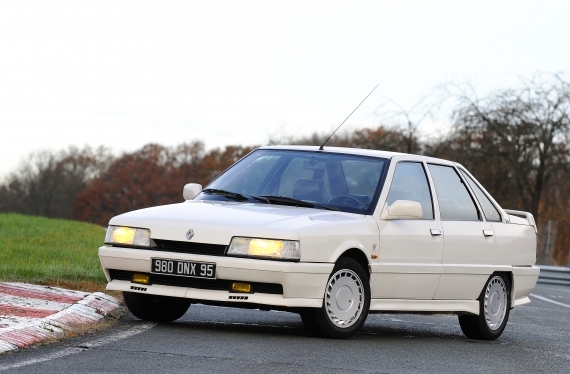 As part of Renault's line-up of large sporty road cars, the 25 V6 Turbo was among an elite selection of vehicles, matching the fearsome Audi 200 Turbo in power. 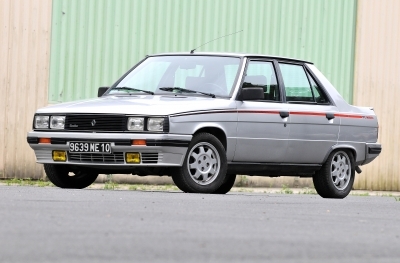 A number of variants of the Renault 25 V6 Turbo were released between 1985 and 1992. Phase 1 was on sale from March 1985 until June 1988. Phase 2 made its appearance the following month for the 1989 vintage. 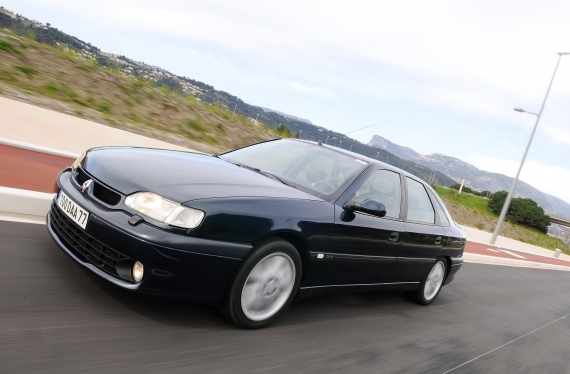 In March 1990, a new 205 hp engine was released with a luxurious Baccara trim version. On 13 February 1992, the last 25 rolled off the production line in Sandouville. Compared with the A 310, the Alpine GTA was a significant improvement, particularly in terms of power and aerodynamics. And changes had been made to the PRV engine: the Turbo version featured an offset crankpin crankshaft and delivered a swift 200 hp. The passenger compartment was also more luxurious, and the car as a whole handled better. The range also included a 160 hp V6 GT, while the engine power of the last Turbos was reduced to 185 hp (starting in July 1989, although French tuner Danielson created an upgraded 210 hp version). Limited Mille Milles series (100 units, 1989) red with leather and ABS. A tad loud, the 21 2 L. Turbo is a model of its kind. And that isn't just down to its high-quality suspension system which combines efficiency and extremely high-level comfort. Because with its 175 hp (162 on the final versions, catalysed), its four-cylinder engine could also put other considerably more posh cars in their place. Visitors can decide if they prefer the phase 1 version (1987-1989) or the phase 2 version (1989-1993). Cars in the phase 2 line-up had a slightly more refined finish (more elegant dashboard, smoked rear lights). They were available in a Quadra four-wheel-drive version, which was safe but did not handle lightly. 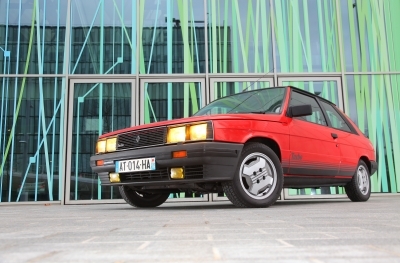 A four-wheel-drive vehicle delivering 268 hp, this was a unique identikit version of the French car! This Safrane was rare (only 806 were made) and also featured an adjustable shock absorber system and luxury on-board equipment (an over-abundance of features and functions on the Baccara model). The one that we recommend to you, as a priority compared with the RXE: if there is no discomfort, they can be no pleasure. The Biturbo also performs extremely well and is surprisingly efficient – despite a difficult-to-handle and poorly-tuned gearbox.